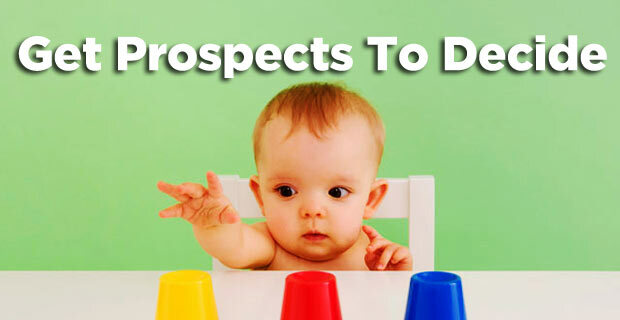 Are You Motivating Your Prospects to Decide? When someone goes on to your career site, they are thinking about making a decision. That decision you think they are making and the decision they are actually making are usually different, and because of that, you are letting great prospects get away. I’ve looked at a lot of career sites and many of them look and feel the same. They are predicated on a simple idea: make it easy for someone to find the job they might be qualified for. This goes hand-in-hand with some very 1999-style web thinking where we all looked to optimize the number of clicks between the home page and the conversion. That is, we wanted to make it easy for a visitor to find what they wanted. When everything can be served up in almost instantaneous fashion, the number of clicks isn’t crucial at all. What becomes more important is the information delivered and the overall experience. But then, we all got broadband internet, and suddenly, shaving 2 clicks off each person’s visit didn’t seem so important. When everything can be served up in almost instantaneous fashion, the number of clicks isn’t crucial at all. What becomes more important is the information delivered and the overall experience. And that’s what most career sites look like: a race to get people to a job. Most people think that in order to win the career site game, they just need to get the applicant to the job in two clicks. They assume people on their site prize speed over… anything else. And that may be true for entry-level employees, who see a “five-minute applications!” as an attractive reason to apply, solely because they spend all day churning out applications. But for people one or two levels above entry-level, the shortest distance between consider and decide isn’t the number of clicks, but something far more important. They are trying to decide if you are a company worth changing their life for. For these prospects, the ones who will be making important business decisions every day for you, and dramatically impact your company’s bottom line, they aren’t looking for speed. They are trying to make a decision. They are trying decide if you are the right fit. They are trying to decide if it’s worth their time to make a move. They are trying to decide if you are a company worth changing their life for. Some of you think that’s exactly what you’re doing, but is that true? New thinking from the Harvard Business Review (free registration) suggests that when you are trying to get someone to make a decision, the way to get them to take action is not to show them the value they are getting, but to focus on mitigating their own risk. Let’s say you’re hiring a regional manager. The perfect person for this role probably already has a job at which they are reasonably happy. Whether they are a passive candidate or an active one, they won’t leave their current position just because you might offer something better (salary, benefits, title, etc.). There’s too much risk that your company’s culture won’t suit them. There’s too much risk that they won’t have the same authority to make the decisions they need to be successful. There’s too much risk that the new boss is a jerk. Ultimately, there’s too much risk that six months in, they will have to look for a new job because this one didn’t work out. Think of all the opportunities you let pass you by because you couldn’t get enough information on the subject. Have you considered applying for a job, but stopped because someone in that department or location said something unsettling on Glassdoor or LinkedIn? Without information or a story or a narrative to help you feel better about this new opportunity, you let it go to someone else. And that’s what’s happening on your career site right now. The magicians and ninjas and rock stars are skimming your 400-word job description that sounds like everyone else and walking away because they see all the risk that you ignore. If you want to persuade the impact players to apply with you, your entire career site should be less focused on speed and far more focused on mitigating that risk.